Antiseptics and disinfectants are extensively used at home, in occupied buildings, recreational areas, industries (the water industry, food processing industry and pharmaceutical industry, among others), hospitals and other healthcare settings for a variety of topical and hard-surface applications. They play a critical role in controlling the spread of environmentally transmitted pathogens in healthcare and food-processing environments, as well as at home. A wide variety of active chemical agents are found in these products, many of which have been used for hundreds of years for antisepsis, disinfection, and preservation. Although its main purpose is to control human exposure to microorganisms through preventive action, its use should also be carefully controlled in order to prevent healthcare problems that may consequently emerge due to their toxicity. The problems regarding the use of disinfectants are not new, although unquestionably tangible and pertinent, due to its broad application in the referred economical activities, as well as due to the development and emerging of new compounds with this activity. This book aims to address the various scenarios regarding the use of disinfectants. 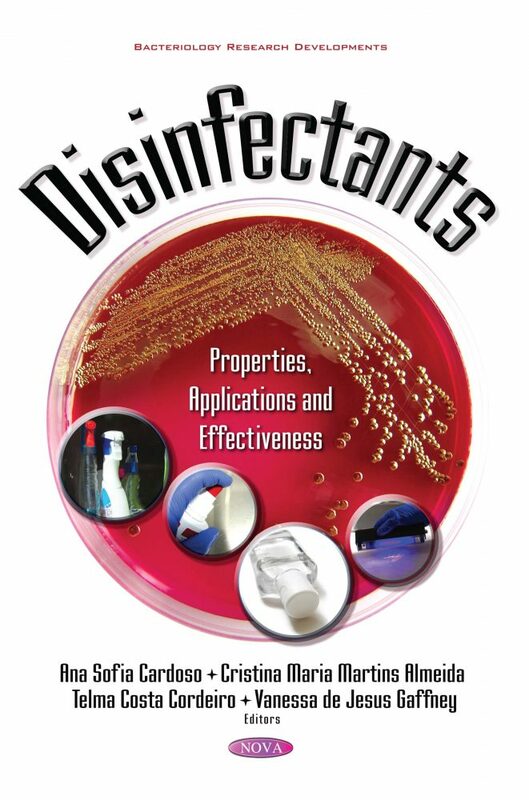 Accordingly, through its eleven chapters it is possible to become aware of the wide range of disinfectant applications, as well as the concerning advantages and limitations of its use. This book is divided into two main sections. The first section, after an overview regarding the use of disinfectants in society, addresses questions related to its toxicology and health repercussions along with microbiological mechanisms.